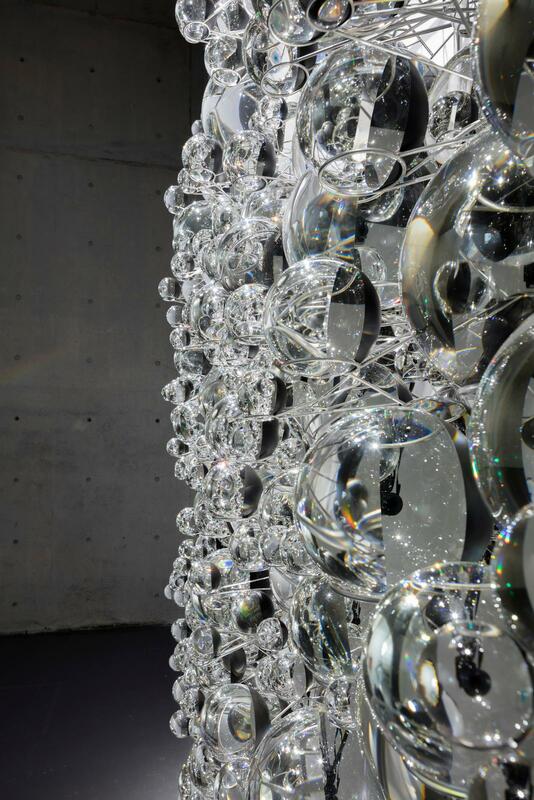 A cluster of nearly five hundred glass spheres is arranged on a wall to create a circular mass of large droplets. The spheres are of eight different sizes and are arranged seemingly randomly on a circular steel framework. The back third of each sphere is given a mirror finish through a hand-silvering process and then covered with flat black paint. The wide angle of the mirroring allows each sphere to capture a view of the entire cluster. 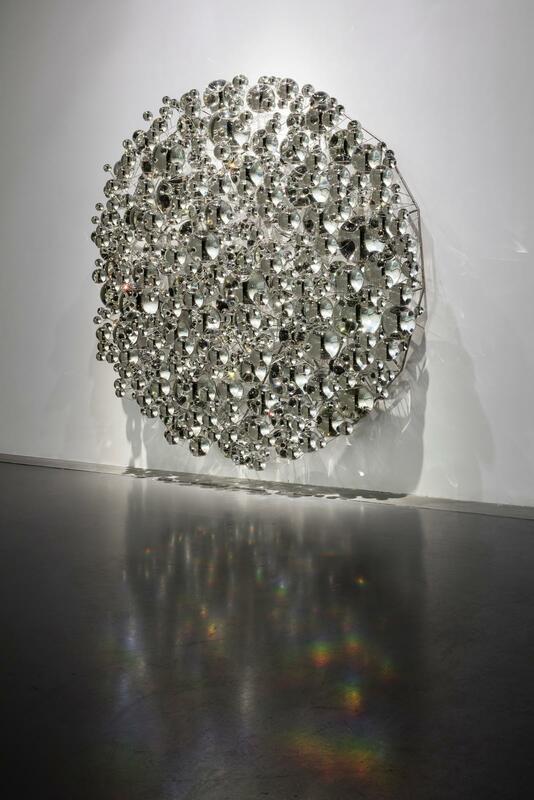 Taken together, the spheres present nearly five hundred curved reflections, each one encompassing not only the visitor but also the entire mirrored-glass system.